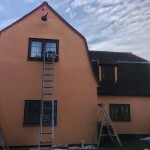 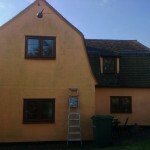 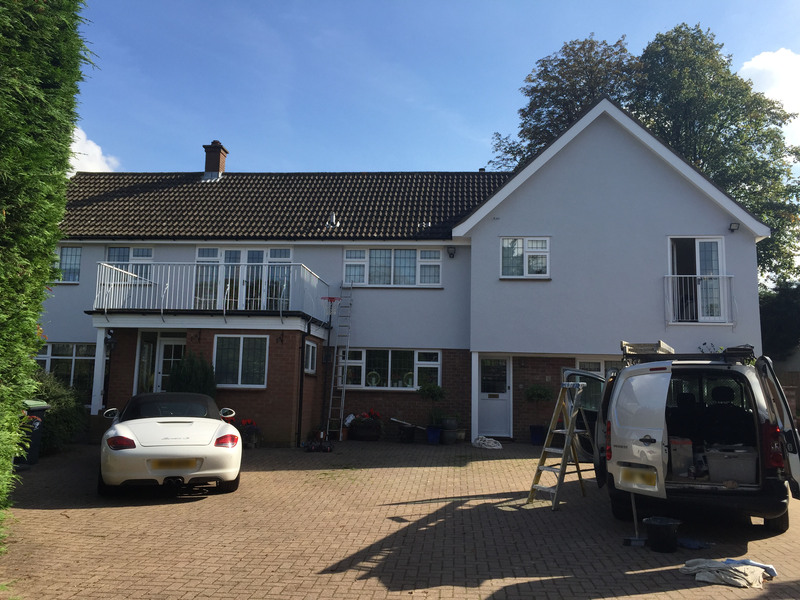 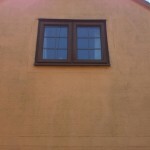 followed by 2 coats of Dulux Weathershield masonry paint. 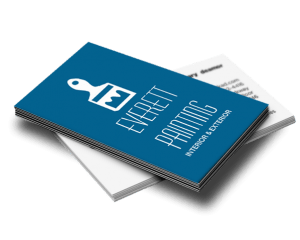 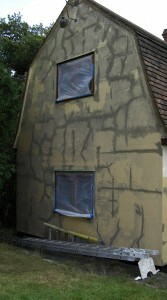 The failure of the previous paint was caused by poor preparation and application. 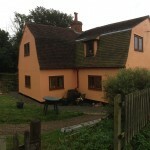 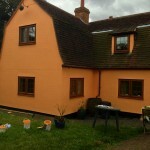 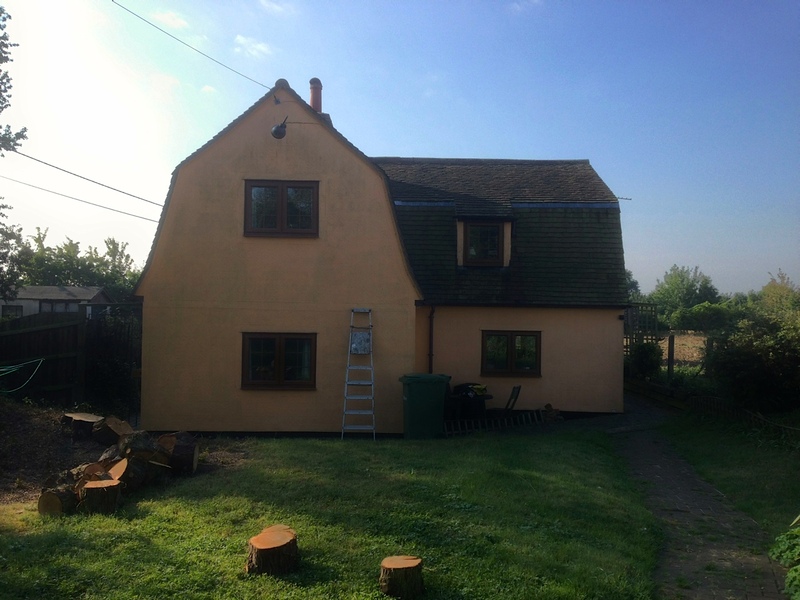 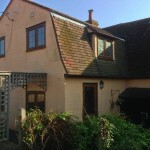 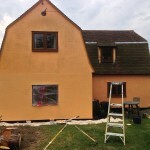 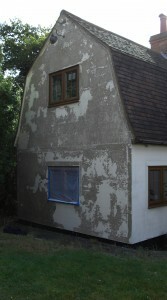 In 2013 I was contracted to re paint the cottage, after 6 years the general condition of the render was in reasonable condition the previous preparation in 2007 had worked to maintain the integrity of the render and after a thorough pressure wash to remove algae the paint remained sound, the main visible defect being colour fading, since 2007 many of the more vibrant exterior masonry colours have been removed by Dulux and other paint manufacturers due to their lack of colour fastness.